As we learn about the new "Net Neutrality" rules from the FCC, I thought it would be interesting to share the graph from the Netflix Speed Report of average Netflix access speed for various carriers over time. Of note, things got much better in Sept. 2014 when interconnection arrangements were improved for several major carriers. DOOB does not give you the mesh file, which is sad. Overall the mesh looks OK, but a closeup of my face shows a lot of problems. 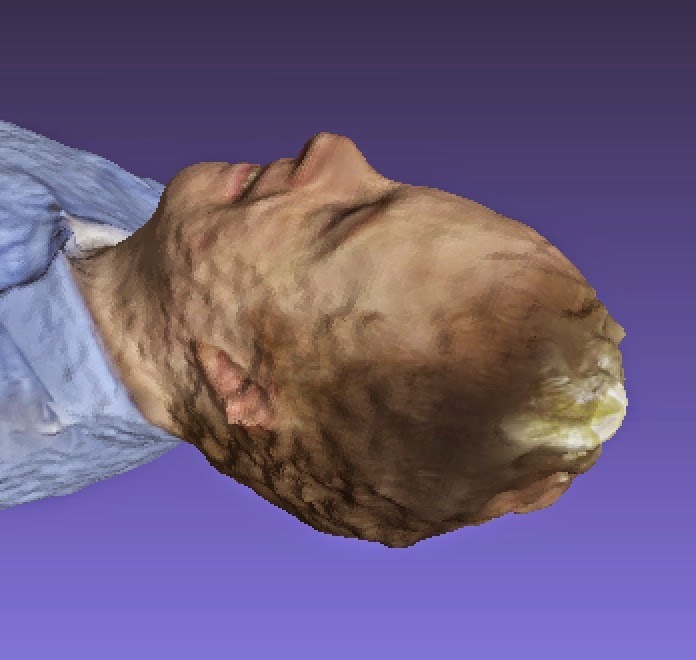 I think it might be useful if they dedicated some zoomed in cameras for enhanced photogrametry in the face. As human beings, we are more likely to notice problems in the face than problems with your pants, etc. My verdict: Given the huge number of cameras in these rooms, I was expecting better results. However I will admit that there is no simple way to quickly and affordably do an "instant" scan your entire body except for DOOB & Twindom. My experiments with structured light Kinect & Scanect where I had to spin around on a chair without moving much did not do much better with my face. 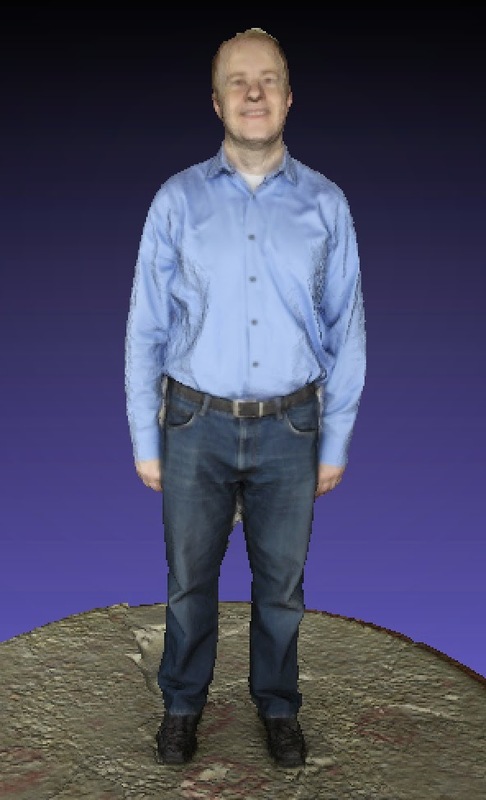 On the other hand, if you just want to capture a 3D mesh of your face or torso, you are better off freezing in one place and letting a friend take 10 or so good shots with a DSLR and then process them into a mesh with Autocad 123D Catch. 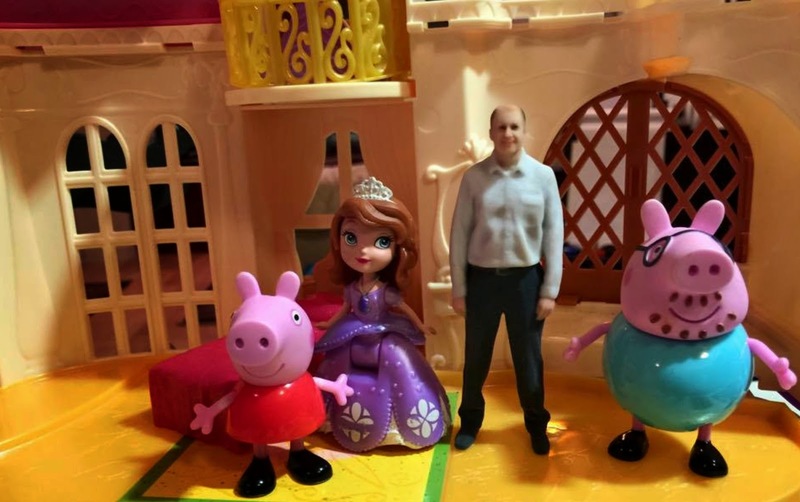 That said, my kids are happy that I can now hang out with Peppa Pig and her friends! 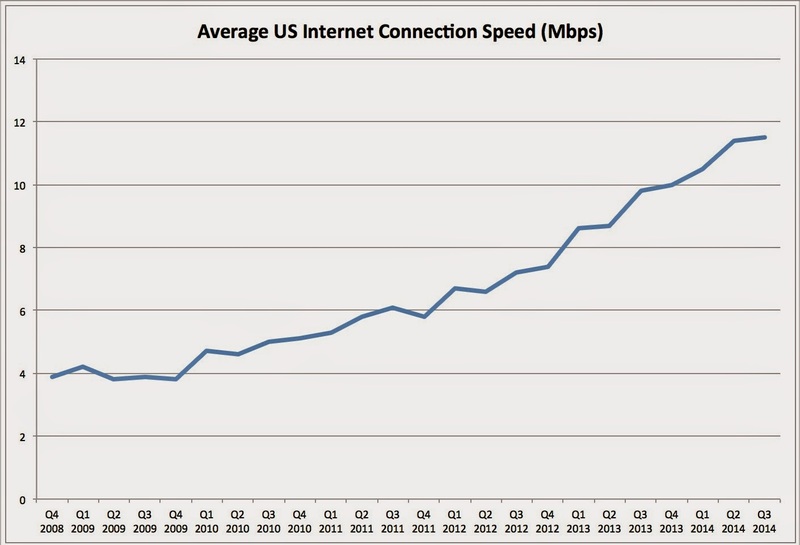 Like many people, I've been wondering why the US seems to lag many other countries on Internet access speeds. Why does the US have such long local loops? This is a question I don't have a good answer to. I do not believe it is just that the US is more rural, as I have heard complaints about 3 km local loops in fairly urban areas. 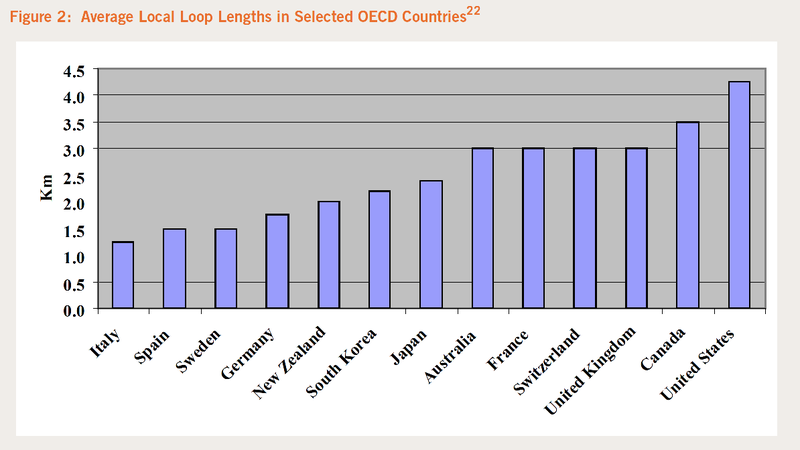 Australia also has lots of rural areas, but it has shorter local loops on average. It is possible that it is because the US adopted electronic telephone switching before other countries, and/or perhaps there were stronger forces driving Central Office consolidation. You can imagine that with 4 km local loops, one CO can serve the same area as 7 COs with 1.5 km local loops. Thus it is more efficient for telephony to have fewer central offices and longer local loops, but it turns out to be bad years later for DSL. Because of this, the highest speed broadband in the US is going to be dominated by cable (DOCSIS), Fiber to the Node (FTTN), and Fiber to the Home (FTTH), in order of expense and speed. But a lot of people are cheap, and like DSL. Plus DSL runs on telephony infrastructure that is already run almost everywhere, while the other faster technologies need newer build-outs. So this structural difference will likely keep US average Internet speeds down even while higher speed services like 1 Gbps FTTH Google Fiber is being deployed. 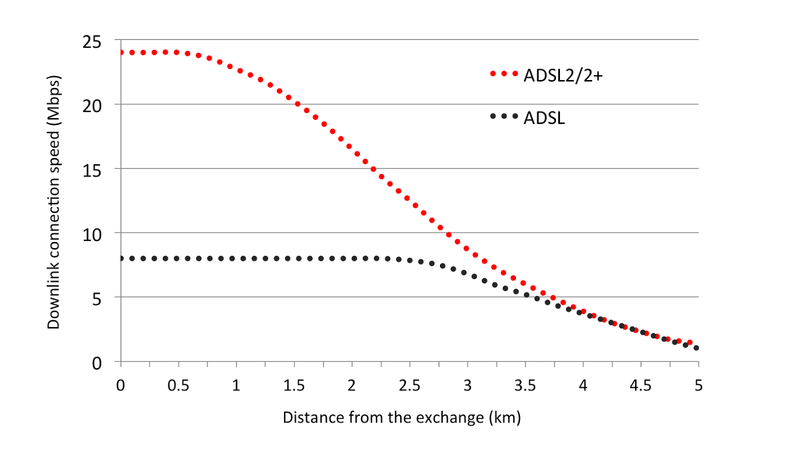 There also is a competitive issue - the slow DSL reduces the pressure on alternative connectivity mechanisms to deliver faster service.